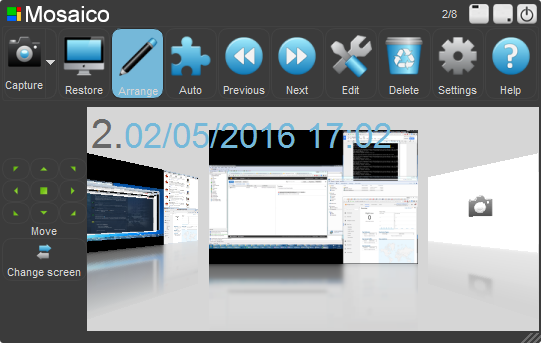 Mosaico 1.8.4.4 is available for download. This version is a maintenance release and introduces 16 new layout elements to divide your screen 4×4, and minor fixes related to installation and quick guide. You can go to www.soulidstudio.com/download/ to download the new version for free, or to www.soulidstudio.com/buy/ to get your PRO license and become a Mosaico supporter!. You can also buy Mosaico on Steam at this URL: http://store.steampowered.com/app/257650/ . Please remember that you can run your Steam copy without running the Steam client itself. You can also use the license key provided by Steam to register the retail version! 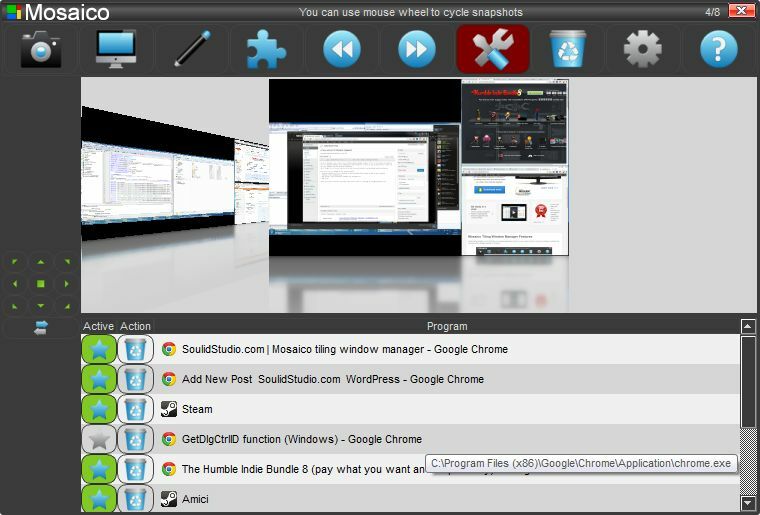 http://www.soulidstudio.com/wp-content/uploads/2015/08/logo141x60.gif 0 0 admin http://www.soulidstudio.com/wp-content/uploads/2015/08/logo141x60.gif admin2016-05-05 18:07:012016-05-05 18:07:01Mosaico 1.8.4.4 is available! A new version of Mosaico released! We just released a new version of Mosaico, our tiling window manager for Windows! This 1.5.0 includes new features such as snapshot editing, full compatibility with Windows 8, a bunch of bug fixing and more. Thank you for your feedback and for being so supportive! – Snapshot editing: now it is possible to activate/deactivate/remove an app in each snapshot. – Windows 8 full compatibility. – New options: start minimized, disable tray messages etc. Enjoy your copy of Mosaico and please feel free to drop us a message at info@soulidstudio.com. http://www.soulidstudio.com/wp-content/uploads/2015/08/logo141x60.gif 0 0 alfredo http://www.soulidstudio.com/wp-content/uploads/2015/08/logo141x60.gif alfredo2013-06-04 22:11:332013-06-04 22:11:33A new version of Mosaico released!